That is what I heard when I showed this year's new BOM to some friends. Yup, it is different! After 4 years of doing applique BOMs I promised my readers I would do a pieced one this year and here it is. 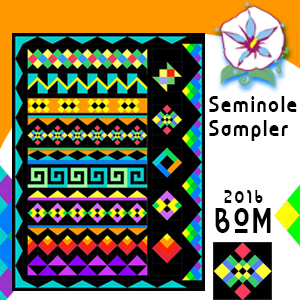 I have been teaching Seminole Patchwork for several years and thought it was time I designed an original sampler I could use as a teaching piece. So this does double duty! 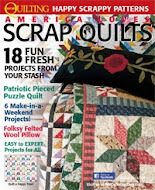 I will be offering a free row every month on my blog and in my newsletter. Subscribers will receive a bonus block, as always. Peggy from ConnectTheBlocks.com will be providing FABRIC KITS for this project, and I am thrilled to be able to offer these incredible kits to my readers. Last year's Deco Gardens kits were a huge success, so I am hoping that you will enjoy these fabulous batik beauties. Watch for the link coming January 8. In the meantime check out Peggy's amazing batiks and kits. Her yard cuts are 40" and shipping is free. Go to the new 2106 BOM tab at the top of this block to access the link for row 1, the Harlequin row. 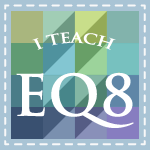 BIG NEWS, I am doing a monthly give-away on my blog for those who enter each month's contest. Each month will be something different to enter. This month all you have to do is leave a comment on the 2016 BOM Tab. WOW! Did you love all those Art Nouveau flower blocks? 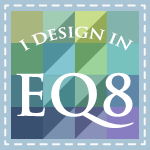 Well I did too, so I am still designing more of them. Click here to get this month's new block, the Daffodil.